I would like to take this time to welcome you to my book den. In here you will find new and wonderful things to read! V .K. 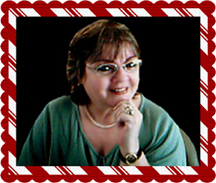 (Katie) Sansone is the author of 12 published works, most of which were written for children. A native of Ashland, Kentucky, she now resides in Des Moines with her husband, John, and their pets. They have two daughters and six grandchildren. 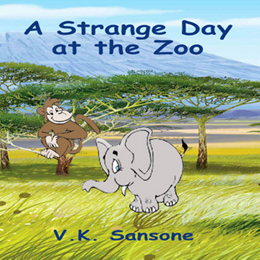 With a passion for storytelling and a very creative imagination, her children's books are truly a delight for readers ages 7-10, or to be read to children ages3-6. There's also a book just for tweens ages 11-12 as well. For the adults, she has two non-fiction works, one of which is a wonderful memoir filled with stories, poems, letters and a look into the author's personal life; the other, a very vivid recollection of a dream. and other retail outlets.You can learn more about Mrs. Sansone by visiting her website at J-n-K Sansone.com or her book blog at vksansone.blogspot.com. 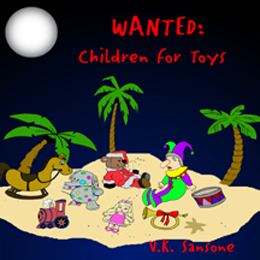 Christmas is fast approaching and time is running out for Santa. 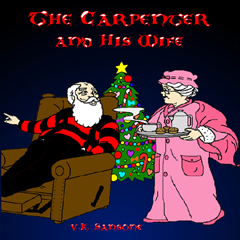 With several of his helpers out sick, he calls upon the Carpenter and his wife to help get the gifts ready in time for all the children. 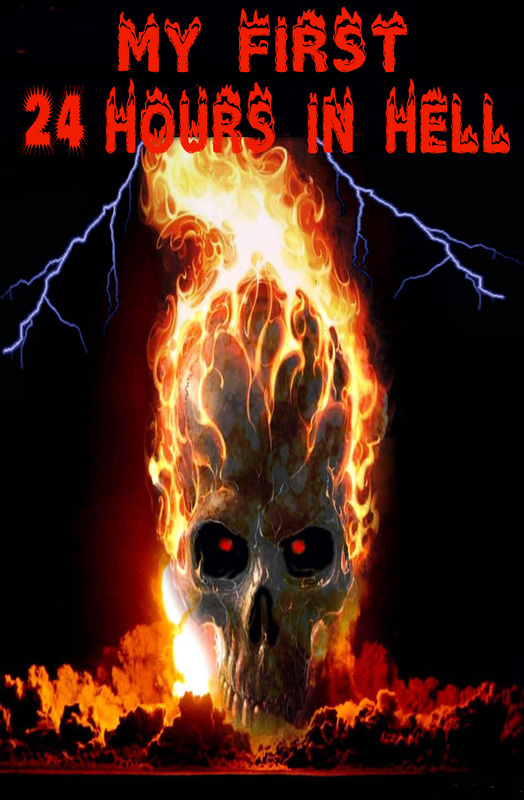 Buy Now at Lulu Coming to Amazon soon! 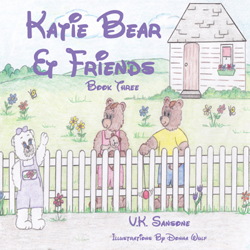 Second in the series with now six-year-old Katie Bear, who must learn some more very valuable lessons in life. Join in as Katie Bear experiences her first sleepover, losing her best friend and decorating the family Christmas tree! 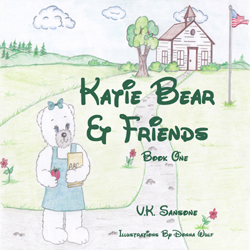 An enjoyable story, first in a trilogy series about a little five-year-old bear cub named Katie Bear, who must learn some very valuable lessons in life. 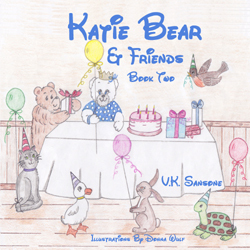 Join in as Katie Bear experiences school, friendship, a new baby sister and Christmas with her family and friends! 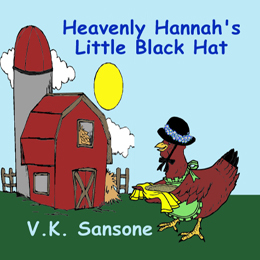 The story of an adorable little red hen named Hannah. She so desperately wants to be human, but if she can't become a human, she will settle for the lovely little black hat with blue & white flowers on it that belongs to the farmer's wife. She shows that perseverance wins out in the end. Recommended Reading Adults Ages 17 and up. 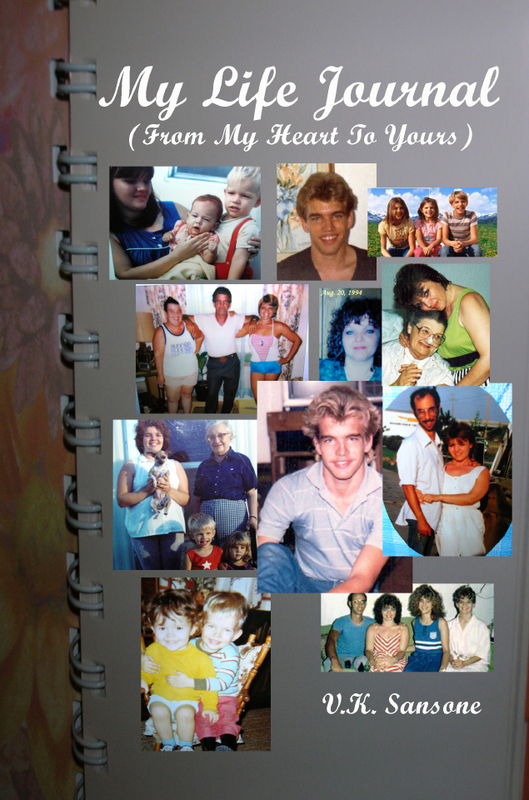 This is a collection of memories, stories, poems and letters; the pages of my life, though not in perfect order, just as they were written. 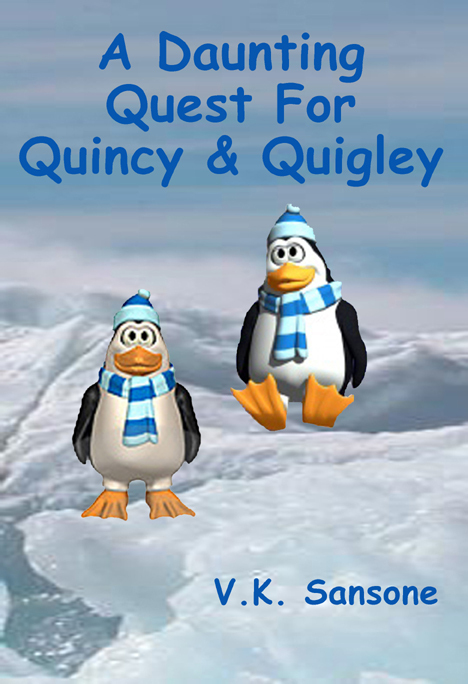 Come join the amazing and daunting quest of Quincy & Quigley. This is the story of two young, twin Penguins who leave the safety of their Penguin Colony to find a better hiding place while playing "hide-n-seek" with their friends. Instead, what they do find are some wild, out of the ordinary adventures in search of their way back home. On their incredible and sometimes dangerous quest they encounter Polar bears, Arctic foxes, and many other perilous happenings that help them to better understand that "there's no place like home". These books will be an asset to any child's personal library. 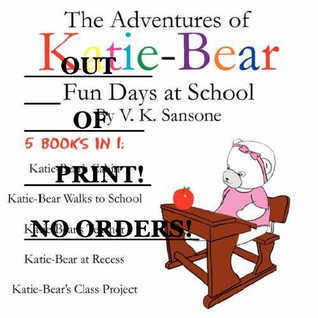 My first ever PRINTED children's book was titled "The Adventures Of Katie Bear: Fun Days At School"
As always my books are dedicated to my darling hubby, my children and my beloved grandchildren. And my humble thanks and acknowledgements go to my LORD, JESUS CHRIST, for without HIM, I am nothing. ""Let us learn to SEE with our HEART and not our EYES."